We didnt cycle a single kilometre during our brief trip to Tbilisi in Georgia as it was an unexpected side trip. 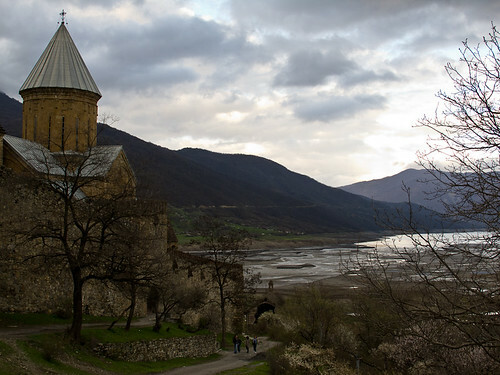 After arriving in Trabzon a little ahead of schedule and finding that the weather in Moscow was still quite cold we decided to spend a week in Tbilisi. We explored the city by foot and during our bus journey looked longingly out the window at the mountain roads and scenery that looked perfect for cycling. We managed to squeeze in a Georgian day of food complete with a few of the local specialties and summarised our all to brief trip to Georgia in numbers. This map shows the route we cycled through Georgia. To see full details of where we have cycled, take a look at our full route map.